The base of the kit was Pebbles Sunnyside patterned paper and from what I heard the girls had a hard time cutting into it. 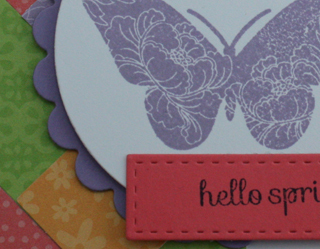 I created some custom words and die cuts for the Paper Smooches Spring Fling stamp set using my Cameo. Here is a complete list of SUPPLIES. Email me if you have any troubles viewing this. 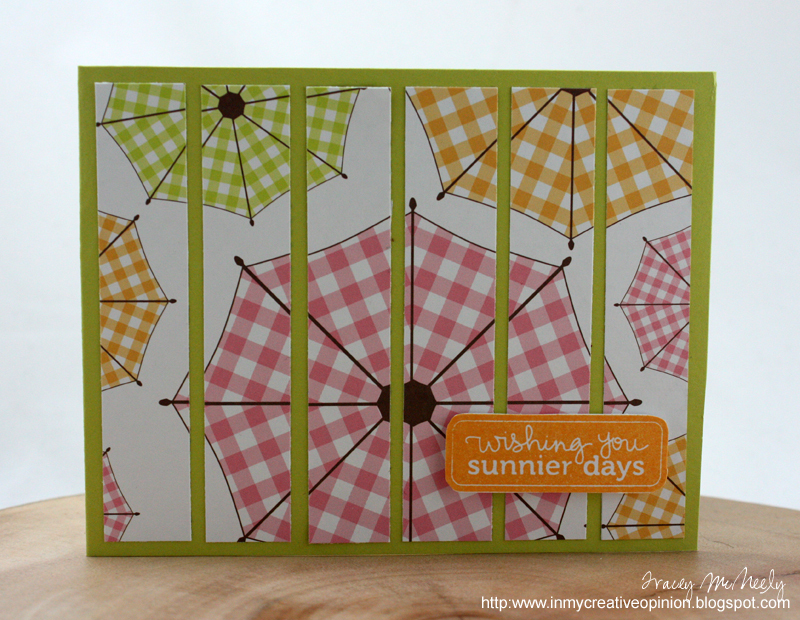 I am also linking a few of these cards up to the Simon Says Anything Goes challenge. I created 5 cards this month and still have some goodies left over to CASE the other girls because I know I am going to love all of their cards. Squeaking in at the last minute (again) for the most recent Dynamic Duos challenge. 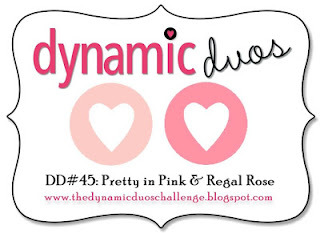 This week is Monochromatic Pinks! 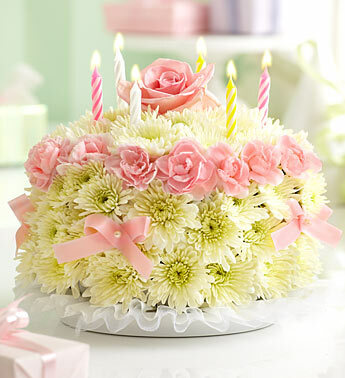 How can you not like pink? 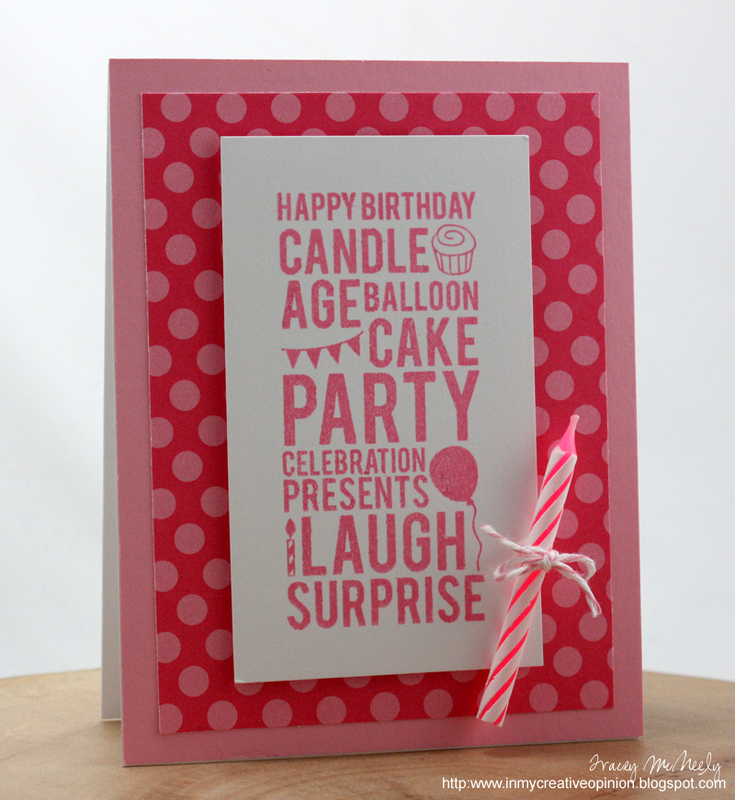 I have a birthday card to share featuring the Subway Series Basics birthday image from Fresh Squeezed Stamps. 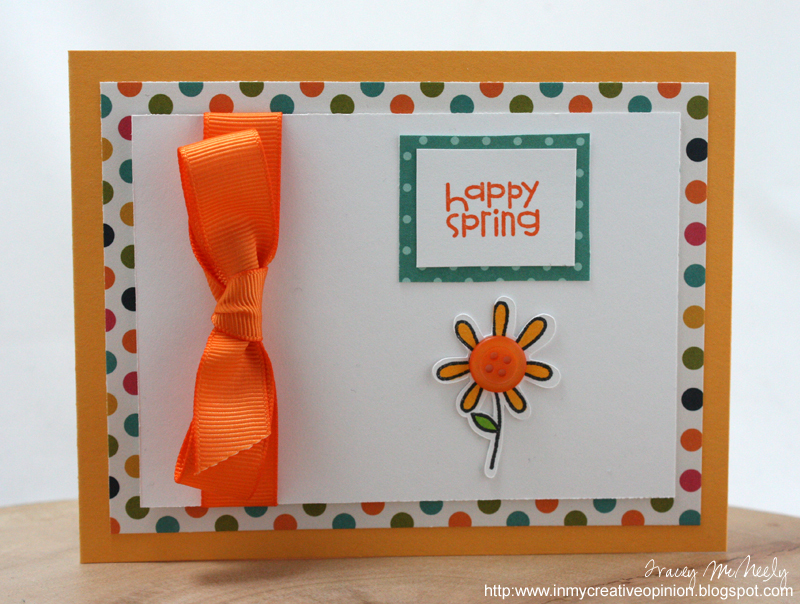 I am also linking this card up to the Simon Says Anything Goes challenge. 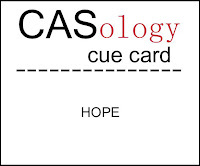 It's Tuesday and time for this week's CASology Cue Card to be revealed! 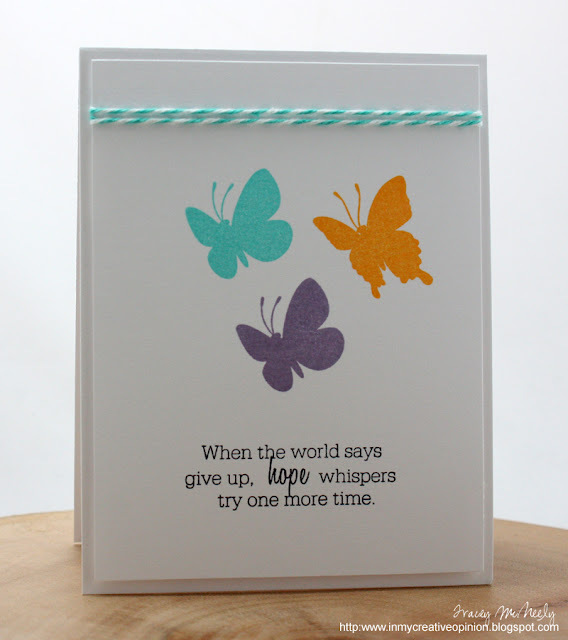 I used one of my most favourite sentiments for an encouragement card. 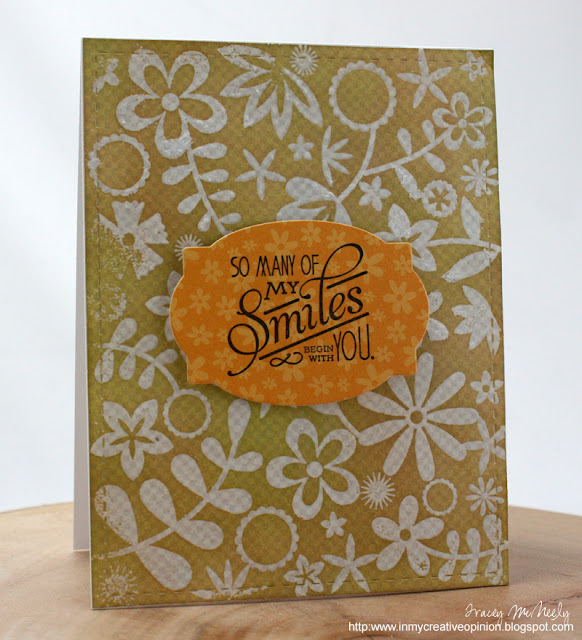 It is from Melissa Bickford's Flower Fusion series and just the perfect sentiment. I can't wait to see what HOPE means to you! 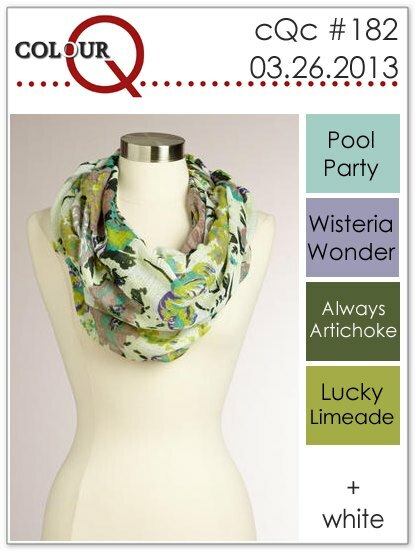 Happy Tuesday and time for this week's colourQ challenge! This weeks colours are absolutely fabulous! I think that scarf is just gorgeous. I had so many ideas to use these colours I was having trouble narrowing it down to one. 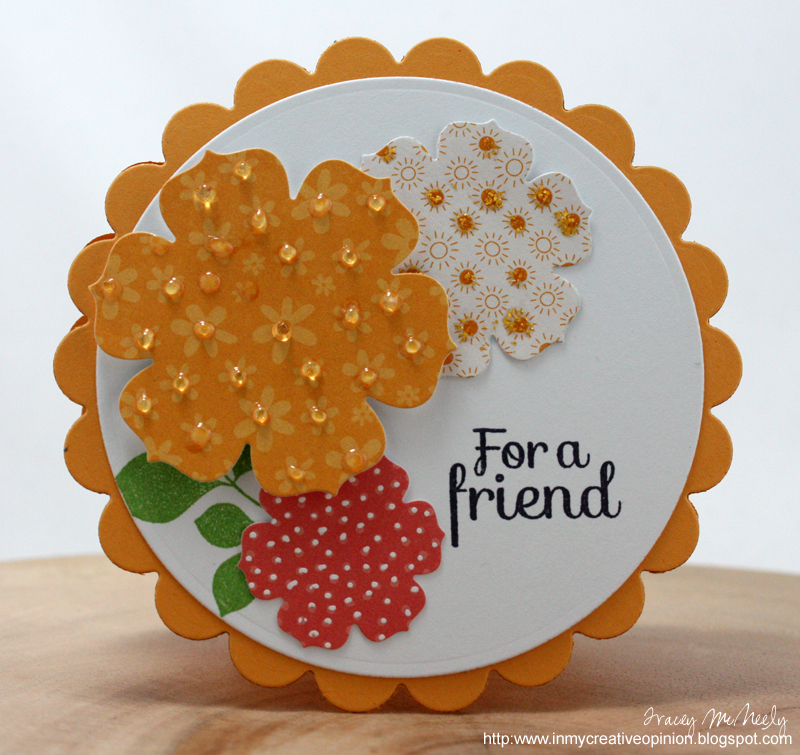 I did enjoy using some images from my new Flower Friends stamp set from Simon Says. 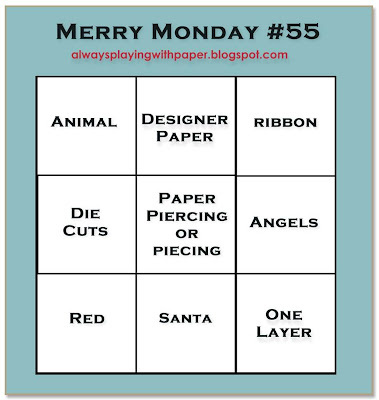 Happy Monday and time for this week's Merry Monday Challenge. 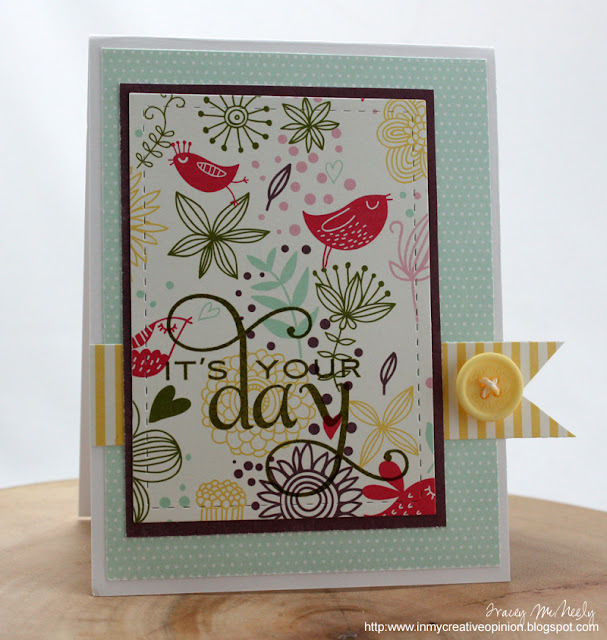 This is my last week as Guest Designer for Merry Monday. This month has gone by so quickly and I have had a great time playing with the team. 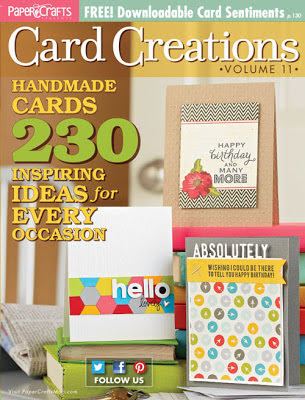 The best part is that I have quite a head start on my cards for this coming Christmas. I am going to try to continue playing along with the challenge, I will be so happy come November. This week's challenge is a Tic-Tac-Toe challenge. Three in a row across, down, or diagonally. I chose the top row this week--animal, designer paper and ribbon. I created my scene using the reindeer image from Papertrey's Tiny Treats and Tremendous Treats. A bit of Copic colouring and then I went over the antlers with a clear glitter gel pen. The theme is sequins. I am also linking this card up to the Simon Says Easter/Spring challenge. Final Day for Pattern Play and today we learned how to use our patterned papers to make a quilted design and to make embellishments. For my homework I decided to make a quilted pattern using paper from my Bright Side 6 x 6 pad from Lawn Fawn. This is probably my favourte and most hoarded paper collection, so far. I used Kristina's excellent instructions and video to create a quilted pattern using 4 different papers. 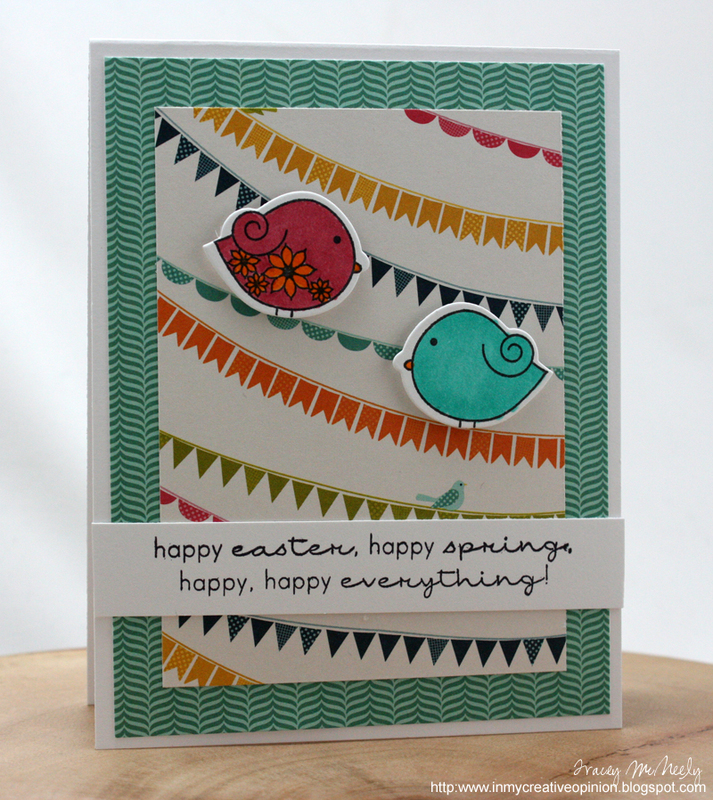 I am also linking this card up to the Simon Says Easter/Spring challenge. However, homework is homework and I tackled them. 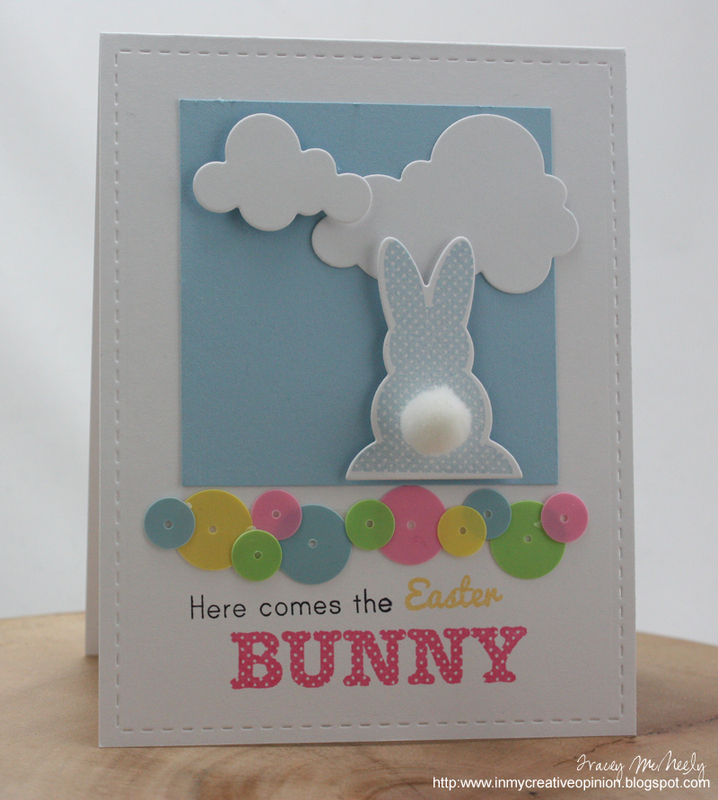 I am also linking this card up to the Simon Says Easter/Spring challenge. The techniques I used for my card were based on Jennifer McGuire's instructions on how to make a shaped card and make it stand up. 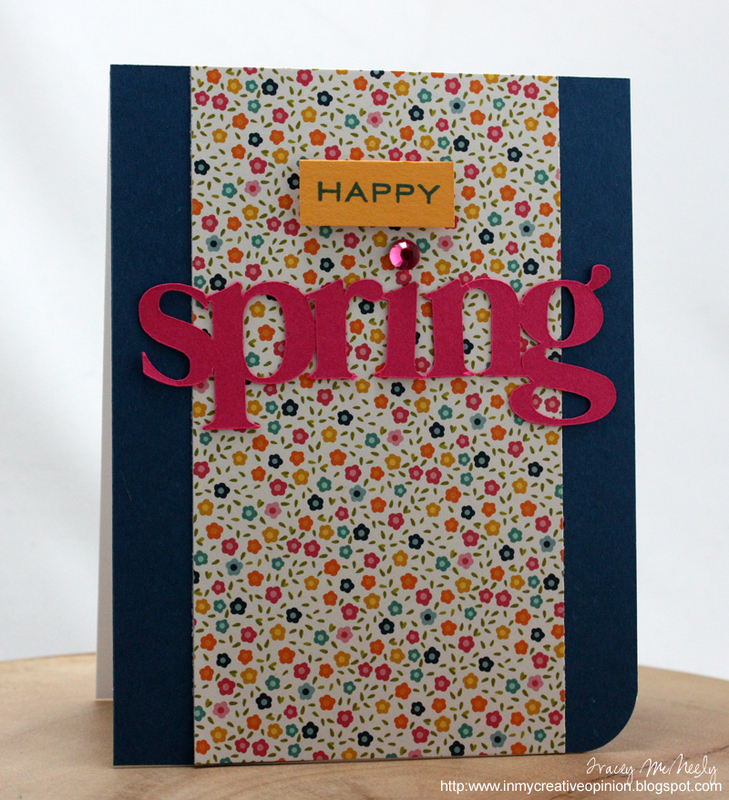 I used Glossy Accents, Distress Stickles and a white gel pen on my card. 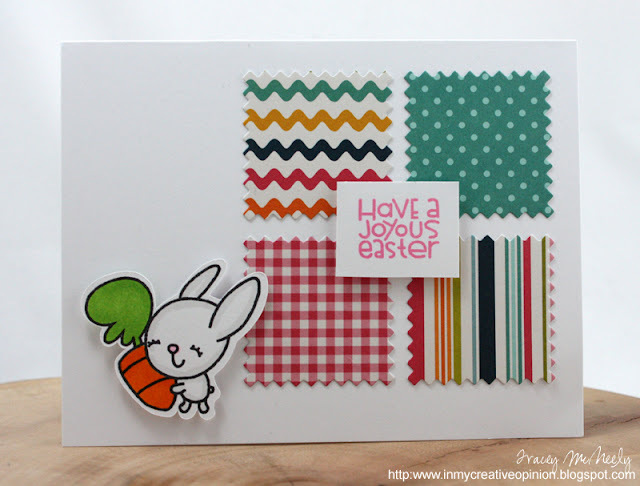 I have a card to share for this week's Muse challenge and for the Moxie Fab World Chevron Challenge. 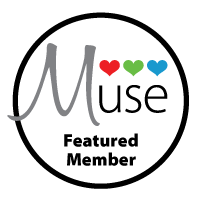 This week our beautiful Muse card was created by Marion Vagg. 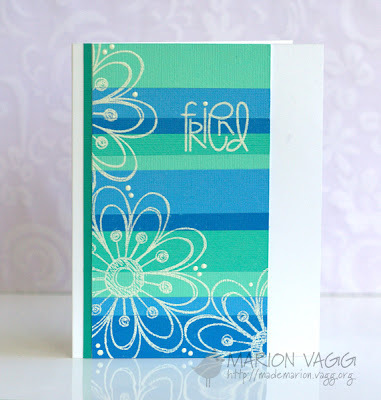 I was drawn to the shades of blue on her card and the white embossing. 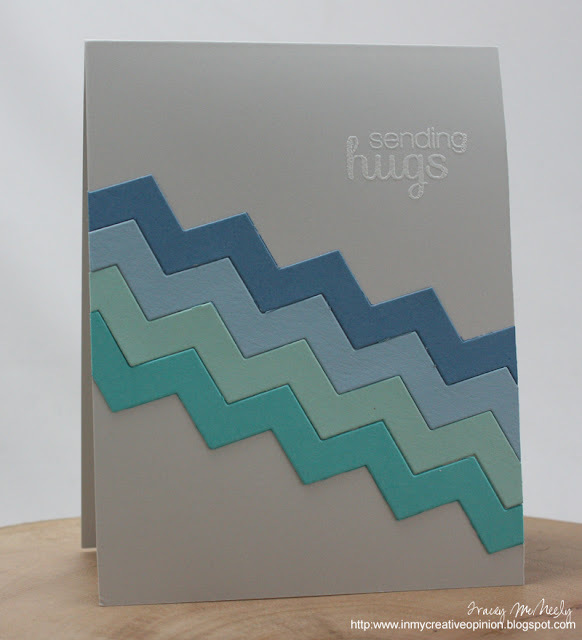 I kept my card very CAS this time bringing the colours on to the grey card base using chevron strips of cardstock. The sentiment is from my new favourite stamp set Flower Friend by Simon Says Stamps. I have some more homework to share from Day 3 of Pattern Play. Day 3 lessons were on how to tackle big and bold patterns. 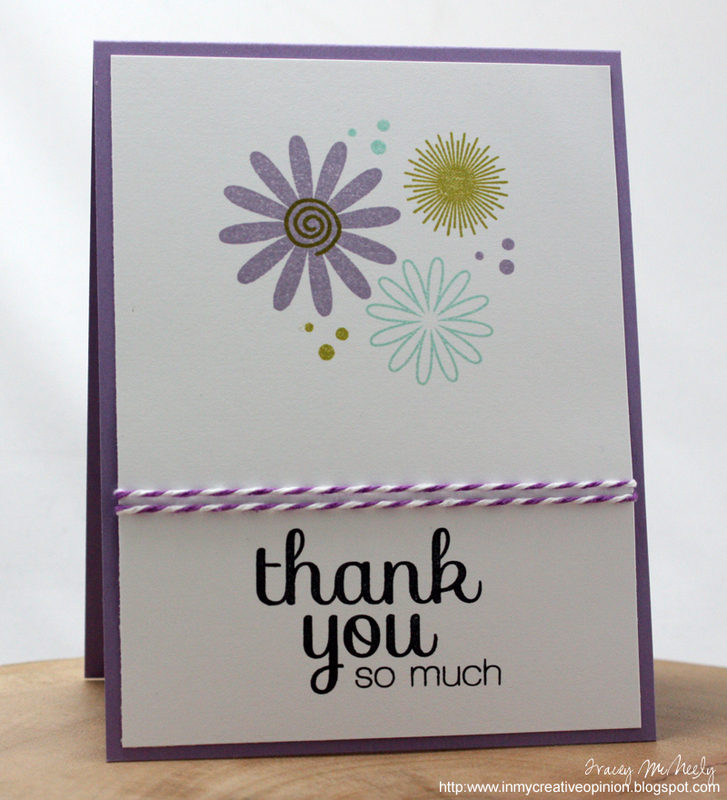 Kristina taught the technique of cutting the paper and spacing it out to soften the look. For my first card I adhered the paper strips to a piece of complimentary cardstock and for my second card I used a piece of co-ordinating patterned paper for my background. A fun technique but spacing out my patterned strips wasn't as easy as it looked. I am still a bit behind on my homework. Isn't it always the week's that are not supposed to be very busy that we get the busiest? Day 2 of Pattern Play and I am started to get a bit comfortable our of my comfort zone. 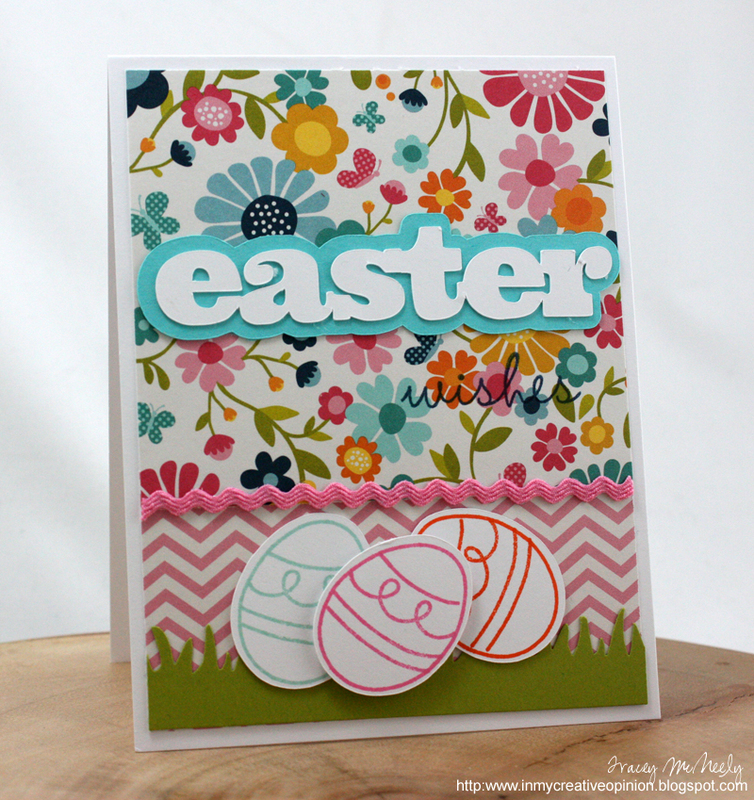 The instruction and videos are amazing and on Day 2 Jennifer McGuire was sharing tips for changing up Patterned Paper and stamping on patterned paper along with guest Laura Bassen. For my first card I went with Jennifer's technique of stamping and clear embossing on patterned paper and then using Distress Inks to add some colour. 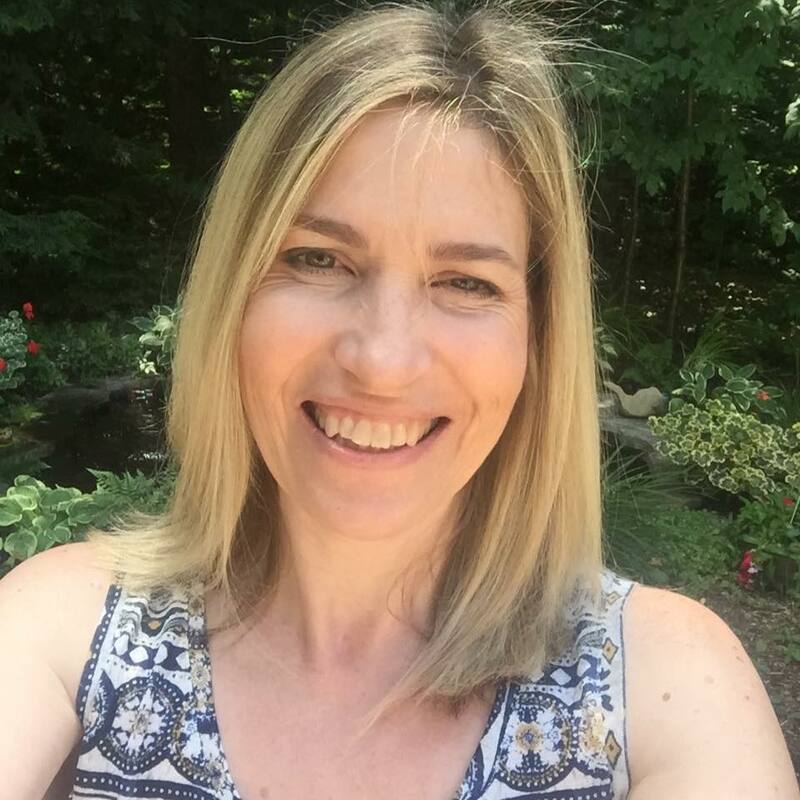 Today is Kim Heggins birthday of Cupcakes Cards & Kim and Joyce arranged a little blog hop for her to help her celebrate her day. Thank you Joyce for doing this. Here is a list of the participants, I hope you follow the hop and stop by to wish Kim a Happy Birthday! I have so enjoyed getting to know you this year, you are such a sweet and kind person and I love that I can call you my friend. I hope that you have a wonderful day today and wishing you the most amazing year to come! 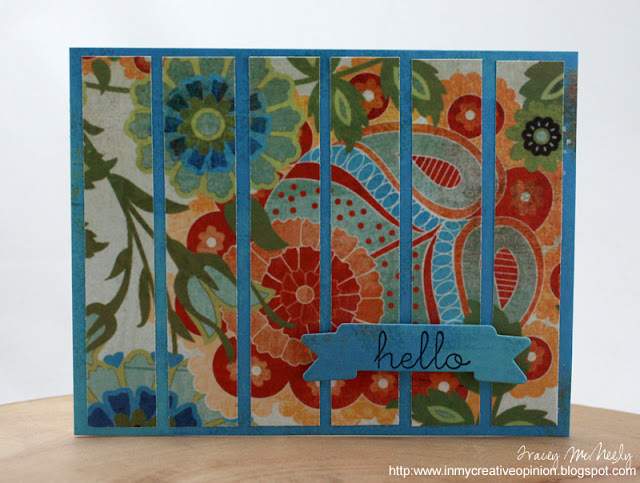 This is also my first card for On Lines Classes Pattern Play being hosted by Kristina Werner and Jennifer McGuire. colourQ #180 & 450 posts almost here!